You have decided that you want to make a real effort to improve your eating habits. It all goes well until you return from the supermarket with bags of calorie heavy food and beverages. It can be hard to stick to your guns but with a couple of changes, you can learn to shop more healthily. Here are three simple but effect ways to help you on your way. The best way to going shopping is by making out a list of all the things that you need. You can work out all the healthy food choices that you want to make and you can add those options to your shopping list. Once you get to the shop, you can take that list out and only purchase the items that you have written down. Nothing else should be able to find its way into your shopping trolley. When you get home you can give yourself a pat on the back because you have only purchased healthy options,which will help you to stick to your healthy eating plan. If you know that you can not resist temptation, then you need to find ways to avoid that temptation. One excellent solution is to have your shopping delivered to your home. 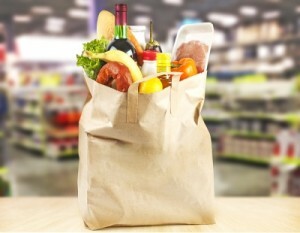 There are several supermarket chains that offer a home delivery service. All you have to do is register an account with your supermarket of choice, and select the items that you need. You will be able to stick to your shopping list because you will not have to walk past aisles of delicious chocolates, biscuits, cakes or savoury treats. Do all your shopping online and your fresh fruit and produce will be delivered within 24 hours. A shopping list is a great way to ensure that you only choose healthy food products. If you create a meal plan, you will know exactly what you are going to cook and what ingredients you will need. It is so easy to make unhealthy choices when we do not have the time to cook. If you prepare a weekly meal plan in advance, you can factor in the times when you know that you are going to be busy. You can then choose meals that will be quick and easy to prepare. Try out these suggestions and see how quickly you notice the difference in your shopping and in your eating habits.